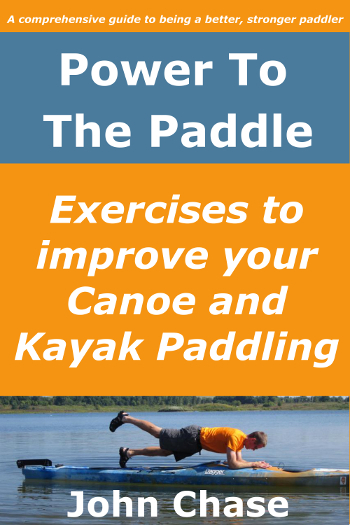 “Power to the Paddle: Exercises to Improve your Canoe and Kayak Paddling“, is now available in print and digital format on Amazon.com. 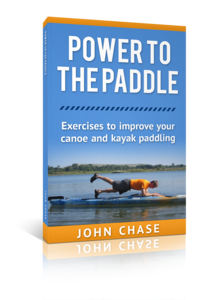 Power to the Paddle is packed with fitness guidance and complete descriptions and photos of more than 50 exercises to improve your abilities and help you enjoy your time on the water. While you’re at it, you might even lose a few pounds. And who wouldn’t mind that? The print version is available for $14.95. If you have a PC, Mac, Kindle reader, iPad, iPhone, Android tablet, or any other device that can accept Kindle format books, you can get your copy today on the Amazon.com Kindle Store for only $9.99. After you purchase your copy and begin to use the exercises in the book, please do me a favor and leave a review on Amazon.com to help my book climb the charts! Is it possible to obtain a hard copy of Power to the Paddle? Delia: Thanks for your question. I don’t have a hard copy available right now but I am working on reformatting the book to make it available in print. Thanks! Started paddeling at age 56 and these exercises are most benifia.